That is 8.7% of my Savings Target. 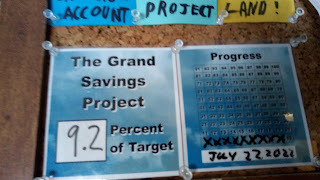 That’s right things increased to jumped up to 9.2% of my savings target. That means I put away 0/5% of my total Savings Target this payday. So, that is a rather dismal showing but I am solacing myself with the fact that I at least moved the number forward. I am also consoling myself with the fact that I was able to cross off a square. This is because even though I just flopped over the line from 8% to 9% I still got over that line. This was due to the fact of me paying for my camping spot in my Mountain Home for my Christmas Break. 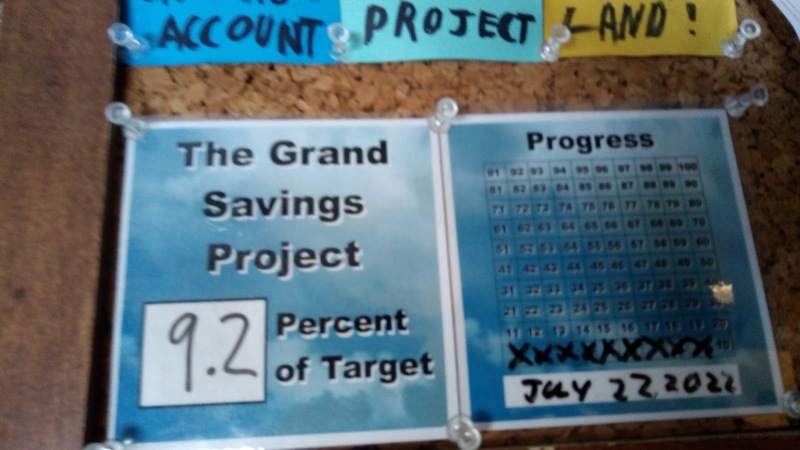 Due to the fact that I did not put at least a whole percentage point of my Savings Target into my Savings, I lost ground on the estimated done payday. As you saw, the payday that I estimate that I will have my savings fully funded has been moved from July 7, 2022, to July 22, 2022. 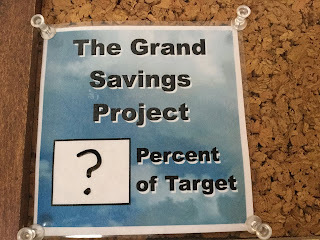 I can and will still make up ground on this as I am quite early my Grand Savings Plan.